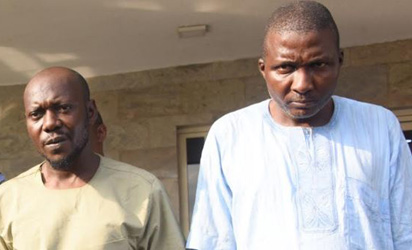 AN Ikeja High Court yesterday, dismissed an application filed by the deposed Baale of Shangisha, Mutiu Ogundare, seeking to vary his bail conditions. Lagos- A 63 year old Baale Jamiu Jinadu who allegedly took possession of the residence of one Matthew Adeniji‎,yesterday appeared before an Igbosere Magistrate’s Court Lagos. The Lagos State Government on Sunday deposed the suspended Baale of Shangisha in Magodo, Chief Yusuf Ogundare for faking his abduction which allegedly took place on July 5 along Center for Management Development (CMD) Road in Ikosi-Isheri Local Council Development Area (LCDA) of the State. Lagos State Governor, Mr. Akinwunmi Ambode, on Thursday approved the immediate suspension of the Baale of Shangisha in Magodo, Chief Yusuf Ogundare for faking his kidnap which allegedly took place on July 5, 2017.